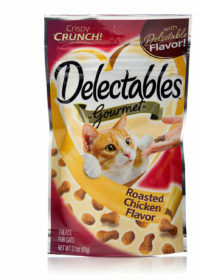 Chicken 4 pack .5 oz. 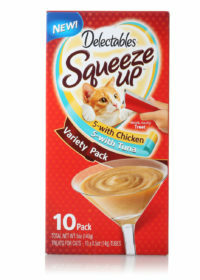 Tuna 4 pack .5 oz. 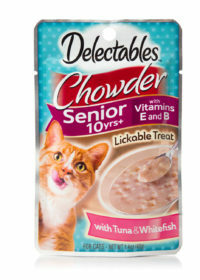 Senior 10+, Tuna and Shrimp 4 pack .5 oz. 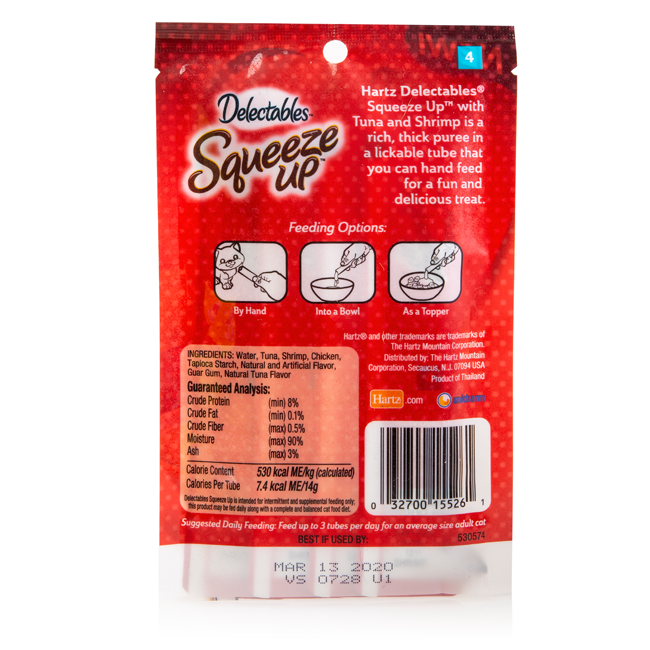 Squeeze up some fun with Delectables Squeeze Up interactive wet cat treats, taking treat time to a whole new level (or, giving treat time a whole new meaning!) 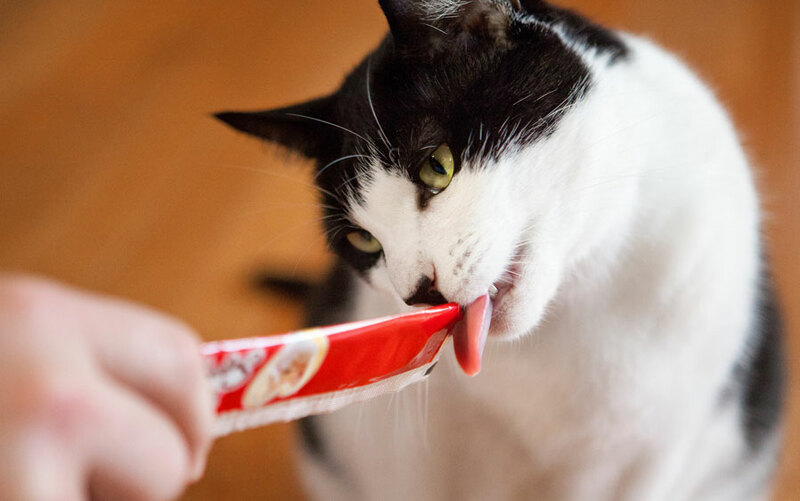 Each .5 ounce lickable tube is stuffed with a rich and thick creamy puree in lip smacking flavors cats find absolutely pawtastic!! 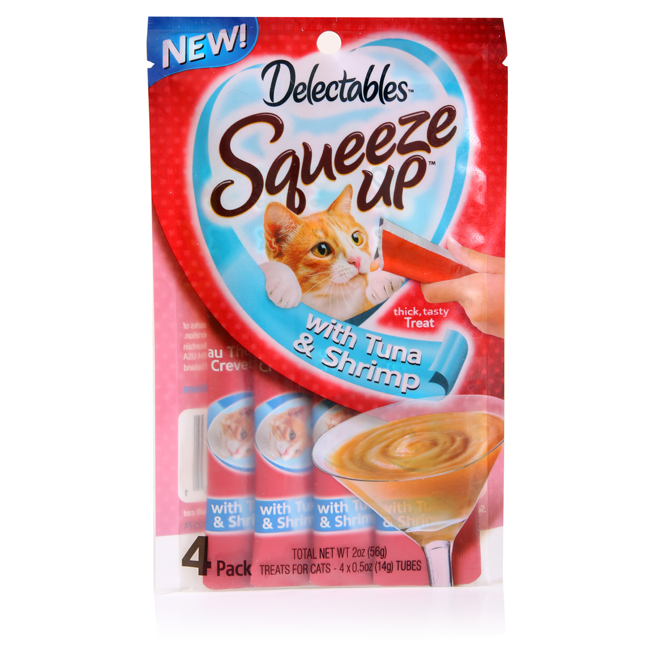 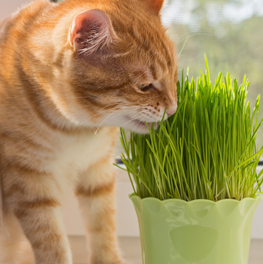 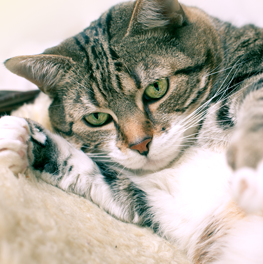 Squeeze Ups provide the purrfect bonding experience between you and your cat as you playfully and lovingly hand feed this irresistible treat directly to her. 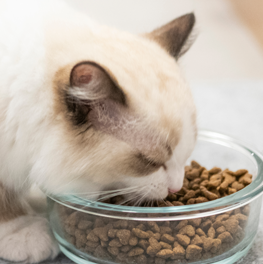 Hand feed or use as a savory food topper to entice finicky eaters to lick the bowl clean.